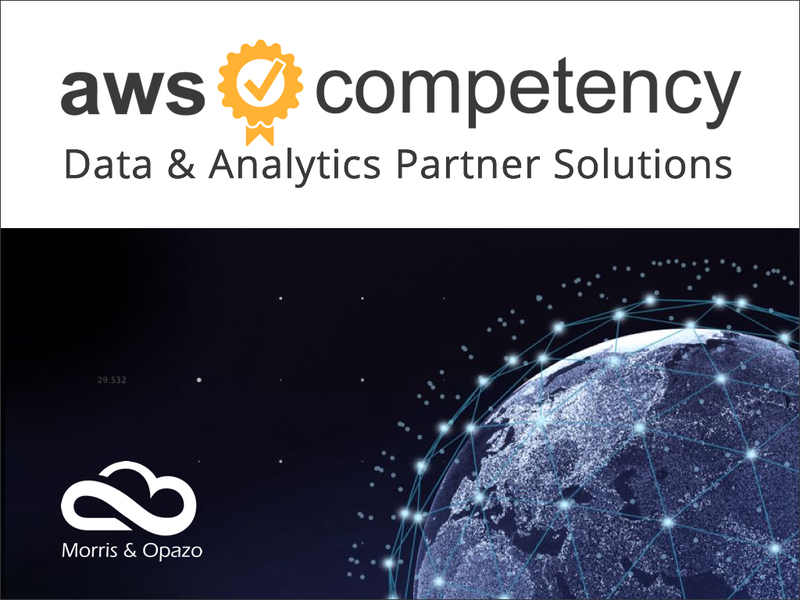 Morris & Opazo announced today that it has been validated to achieve the Amazon Web Services (AWS) Data & Analytics Competency status, being the 1st Partner in Latin America with this status. This designation recognizes Morris & Opazo has demonstrated success helping customers evaluate and use the tools, techniques, and technologies to work with data productively, at any scale, and successfully achieve their Data & Analytics goals on AWS. Achieving the AWS Data & Analytics Competency distinguishes Morris & Opazo as an AWS Partner Network (APN) member that possess deep domain expertise in one or more of the following categories: Consulting, Data Integration, Data Management, Advanced Analytics, Data Analysis & Visualization, having developed an innovative technology and solutions that leverage AWS services. To receive the designation APN Partners must demonstrate deep AWS expertise and deliver solutions seamlessly on AWS. “In Morris & Opazo we are proud to be 1st AWS Partner in Latin America achieving the Data & Analytics Competency”, said Marcelo Rybertt, Country Manager at Morris & Opazo. “Our team is committed to be always at the forefront of technology to offer optimal solutions that generate value; that help our clients achieve their Data & Analytics goals by leveraging the agility, scalability and innovation of the AWS Cloud”. For over 12 years we have delivered high-end solutions perfectly adapted to our clients’ needs. Our success is the result of a strict talent selection process, a continuous drive for innovation using the latest technologies and the flexibility of our project management methodologies.